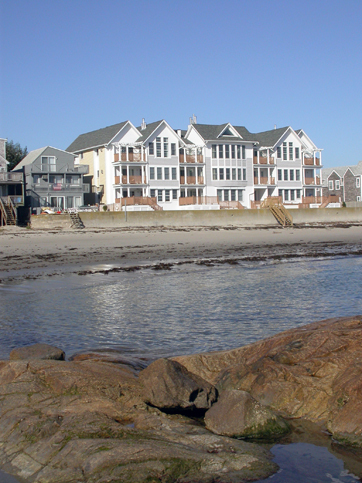 Project Architect:	Piatt Associates inc.
A luxury condominium building located on a beautiful crescent beach facing eastward to the Atlantic Ocean. 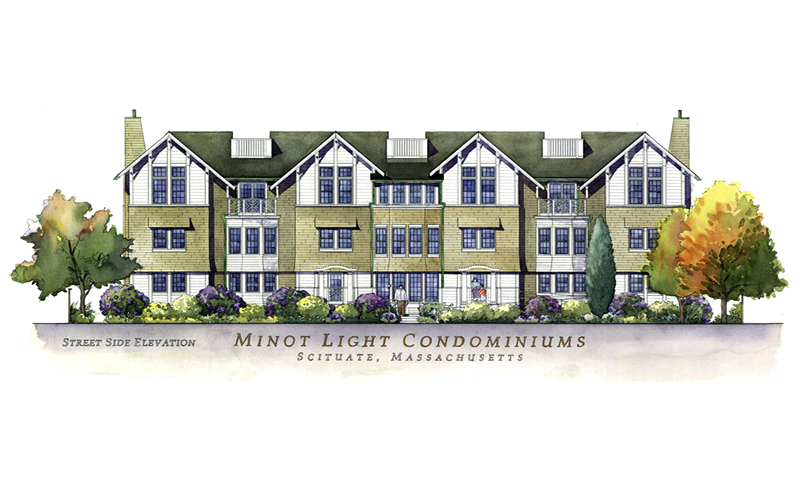 Nine residences of 1500 square feet each, with private balconies, and use of a common terrace. 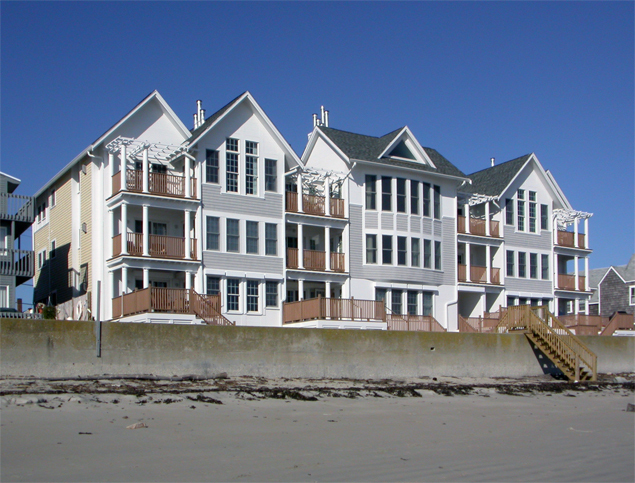 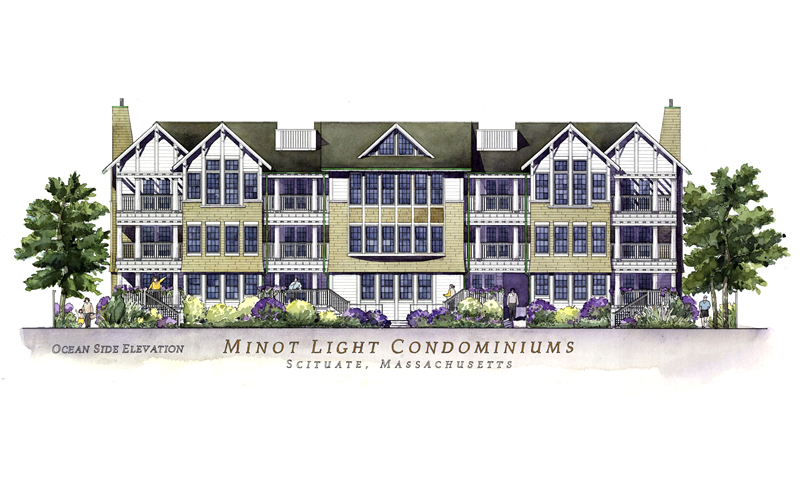 The design presents shingle-style facades to the village street and oceanfront to blend with the traditional New England village architecture.